To finish out my trip to Tokyo, I wanted to stop at one last classic ramen shop. I tried to go with friends to Kururi in Iidabashi. The line was super long, so we gave up and went to the one in Takadanobaba. That one was also too busy, so we were in a rush to find a shop that we could stop in and I could still make my shinkansen back to Osaka. 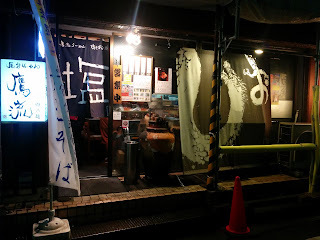 We ended up at another shop I went to when I first lived in Tokyo, chicken ramen shop Yatai Ramen Takaryu. 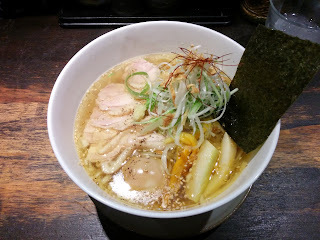 Takaryu's ramen was a clear chicken shio. It was salty with some rough edges provided by the fried garlic mixed in. More than a normal bowl of ramen, it tasted like Vietnamese pho ga. 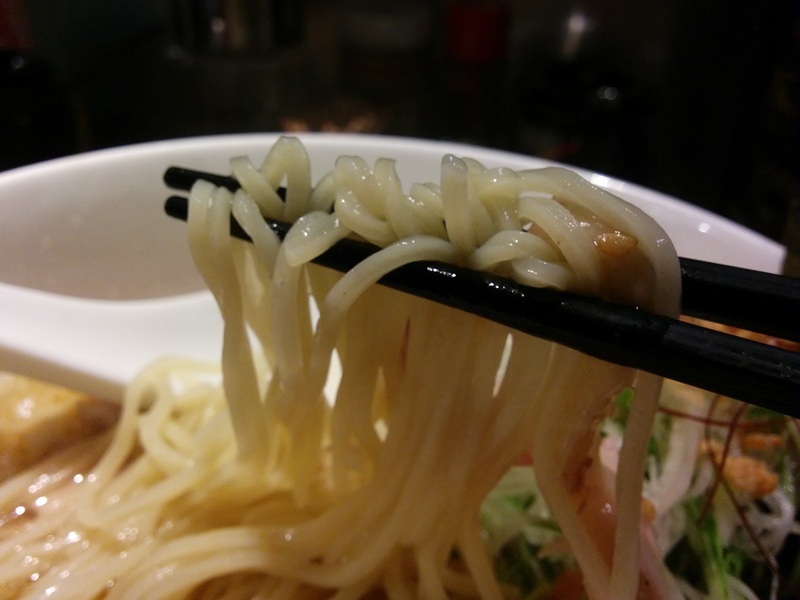 The noodles were thin and slurpable, but they too were on the salty side. Of the toppings the bamboo was the most interesting; it was sweet with a nice crunch. There are too many shops in Tokyo; I don't see myself making it here again. If you're in Takadanobaba looking for shio, it's a solid spot.